Once upon a time the internet was deemed unnecessary, now it’s literally everywhere! 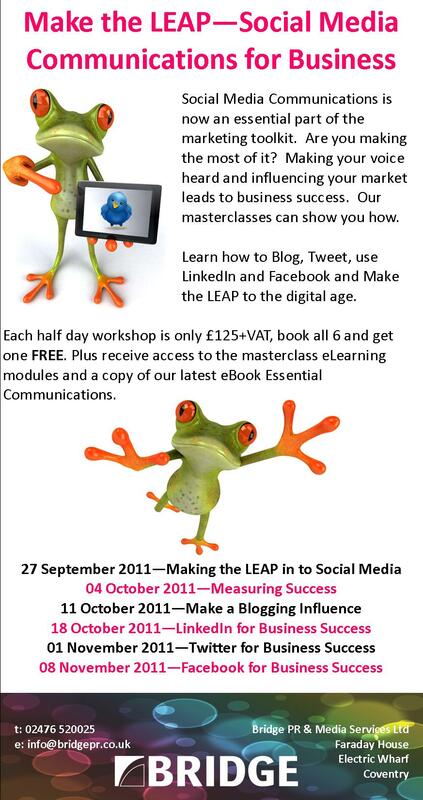 So if your business isn’t using social media yet, why don’t you leap ahead of your competitors and make your mark…? We’ve been working with businesses on social media for quite some time now and if we could have a pound for every time we have heard a company state “Social media isn’t for business, it can’t do anything for us!”, then we’d all be happily retired and tweeting from a beach in Mauritius. Unfortunately, reality works a little differently and we are still definitely all in Coventry. However, we have compiled a list of reasons as to why you need to be ahead of your competitors in the social media marathon. If you get in there before your competitors then you can lead the conversational topics around things relevant to your business. For example if you are using Twitter then you can demonstrate your expertise through various hashtags regularly and businesses will begin to recognise you as a leader in your field. Take yourself back to school. There was always a kid who was first to have the new trainers, or listened to a certain band before they were played on the radio. He was always deemed the ‘coolest kid in the school’ because he was setting a trend that others wanted to follow. Similarly, becoming competent with your social media repertoire before competitors will give your business a ‘cool factor’ and place you ahead of others as a forward thinking business. A massive 61% of UK adults were reported to be using social media in 2011, and this will have increased since then. Regardless of whether they operate personal or business accounts, that is a large sector of the population. You only have to see the huge increase of users each year to understand that it will not be long before it is saturated. Among all these users lie your customers – so why wouldn’t you want to be there too? 4. Be seen for free! Social media accounts cost nothing to set up, however they have room to include all your branding and company news. It only makes sense to be visible in the social media spectrum. It’s also one of the most cost effective marketing tools for raising the profile of your brand. How has it helped some of our clients?? Manchetts Garage based in Cambridge and Newmarket was already aware of the Good Garage Scheme but was unsure of the member benefits. The independent garage already had its own Twitter account, from which it regularly tweeted special offers and blog posts. Upon seeing a number of consistently informative tweets from the Good Garage Scheme, Manchetts sent a direct message over the network to enquire about becoming a member. The Titanic Heritage Trust has been part of an exhibition in Smethwick this year as part of the centenary to commemorate the sinking of the famous liner. We have been helping them with their social media, and they have had a number of visitors to the exhibition who became aware of it through its Twitter page. In April one of our clients, which is an IT solutions provider, ran a seminar on cloud computing. This was publicised through Twitter and many of the attendees were able to sign up straight through the link in one of the tweets. Bridge has been asked by Coventry & Warwickshire Chamber to run a FREE half day workshop on 3rd September to be held at the Quality Hotel, just off the A45. This will give you all you need to get started on social media for your business. More details coming soon, so keep an eye on this blog and our website. There are now over 120 million professionals all over the world using LinkedIn to help grow their business by harnessing the power of online social networking. LinkedIn gives the ability to broaden your networks and connect with people you might never have had the opportunity to link with previously. Since the Internet really took off in the 90s, people have been able to maintain contact with each other far more easily, and it was only a matter of time before people began to make business contacts with the same principle. Everyone at Bridge has been using LinkedIn for some time now and between us we have acquired a lot of knowledge and expertise about how to get the most from it. Make your profile 100% complete LinkedIn monitors how complete your profile is on a percentage scale based on work history, education, skills, connections, and recommendations. You should aim to be 100% complete as this optimises all of the functions available. The aim is to raise the profile of your expertise in your particular industry sector. Constantly leverage your contacts LinkedIn is very much based around the maxim of ‘it’s not what you know, it’s who you know”, and the connections you make are integral to your business development. There is a ‘degree’ gauge built into the site, where you will be shown how many degrees apart you are from any one contact. For example 1st degree means you know them personally whereas 2nd degree is you know someone who knows them and 3rd degree means they’re a friend of a friend… and so on. This is built on the old adage that everyone is connected by six degrees of separation. Join relevant groups Another important part of LinkedIn is the ‘group’ section. Arguably one of the most powerful aspects of the networking site, groups allow you to engage with like-minded people in discussions relevant to your aims as a business and your sector as a whole. It can also be a mine of information about your industry, and will help you to keep up with the latest trends. It is a good idea to create your own group as this helps to drive traffic to your site and encourages more people to connect with you as the ‘community leader’. Become a ‘LinkedIn expert’ Exploit the facility of offering expert advice on LinkedIn as this can help build your profile as an expert in your field, and adds an element of reality to the profile, giving connections reassurance about your business. Regularly check the ‘Questions’ section for subjects relating to your field, and when the person who posted the questions brands you as the best answer you gain a badge on your profile. The more badges you gain then the higher your level of expertise. Get valuable recommendations These add a level of credibility to your profile or company. The more recommendations you have on your profile, the more people are likely to trust it. However, it is important to gain ‘valuable’ recommendations such as clients and customers who have been involved with your company or have used your services of products. If you would like to become completely ‘social media savvy’ in order to boost your business, then Bridge PR & Media Services are running a series of Social Media Workshops which will teach you the principles of social media marketing, how to use the tools and platforms, and how to measure your success. 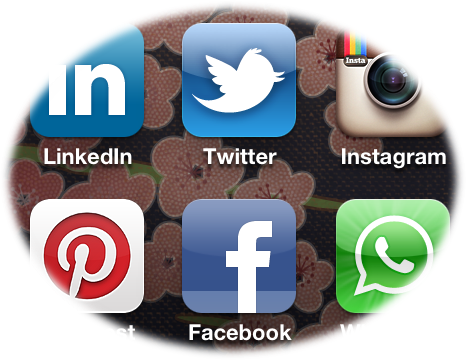 Time is running out to book onto our social media masterclasses. If you feel that your company has something to shout about but don’t know where to start, or would like to take it that step further then email Bridgit@bridgepr.co.uk for a booking form!